We’re thrilled to have our doors open and to have so many awesome families as members of our community. The majority of our programming like story time, live music and family yoga will begin in the new year. We also have new parent groups starting on 1/28, in partnership with Parentline. For now, book your playspace pass, birthday party or join as a member while end of year discounts are still available. If you haven’t been in yet, please swing by! Check out some great photos of our brand new space. We’re still observing how children utilize the play area and making modifications to meet the needs of kids and parents alike. So you’ll continue to see it evolve! And if you are able to give at this time of year, please consider donating your time and money. Financial contributions are tax deductible! Ultimately our vision is that every community has a Recess Collective space to come together to share resources and live playful, healthy lives. 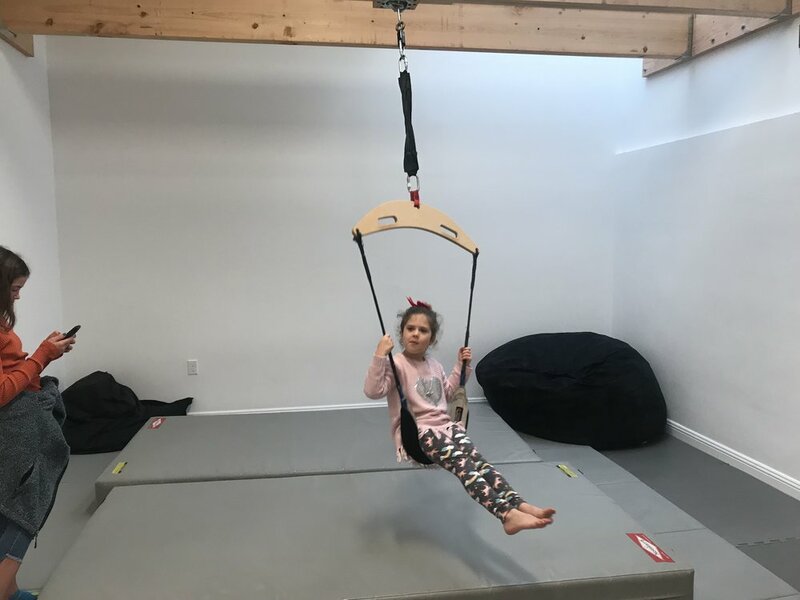 Thank you all so much for your patience while we've been busy completely demo'ing our new location, designing the space to meet the needs of your family & putting the finishing touches on it to create a comfortable little oasis for you, your caregivers & your children. Now that we are open for business, we are thrilled to give you the scoop on next steps and invite you in to play! SOFT OPEN HOURS: NOW through 12/21. Members & those of you who have purchased playspace packs are invited to drop in & join us to play. Playspace hours are M, T, Th, F 9:30-5:30 & Weekends 9:30-12:30. Stay tuned in the new year for additional early AM and late PM member only hours as we survey you all for preferred days/times. Not a member yet? Book a playspace pass to check out the space and join before 12/22 to get early bird deals on membership. Interested in coming by for a tour, or to check out the space before booking a party? Feel free to come by during business hours and we can show you around! HOLIDAY BREAK: 12/22-1/2. We will close up for the holidays so our staff can be with their families and then we’ll re-open for all on 1/4 for members, playspace pass holders and limited afternoon drop in visits. parties are available to be booked for the new year as well if you're interested in reserving a slot for a celebration! For a limited time, they are only $350. We have some really great workshops on the schedule for December and Beyond (including cpr, intro to sign language, infant sleep, responsive caregiving, introducing a sibling, potty training & more). If you have friends / neighbors interested in checking out the space, please spread the word. Please don't hesitate to reach out with any questions! We CAN'T wait to see you all. Best wishes for a warm and cozy December.